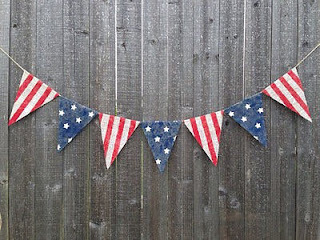 Decorating your house for July 4th is really simple. Slap some red, white, and blue everywhere and you're set. If you want to put a little more thought into your Independence Day decor, check out these great items from Etsy. 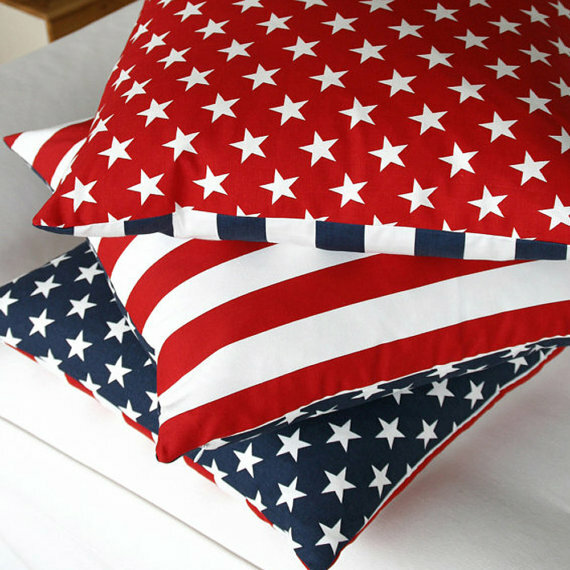 They scream USA, and so will your home. Chloe and Olive dot com make these patriotic pillows. They will look great on your couch, window seat, or patio bench. Every door needs a wreath from Punky and Mister. 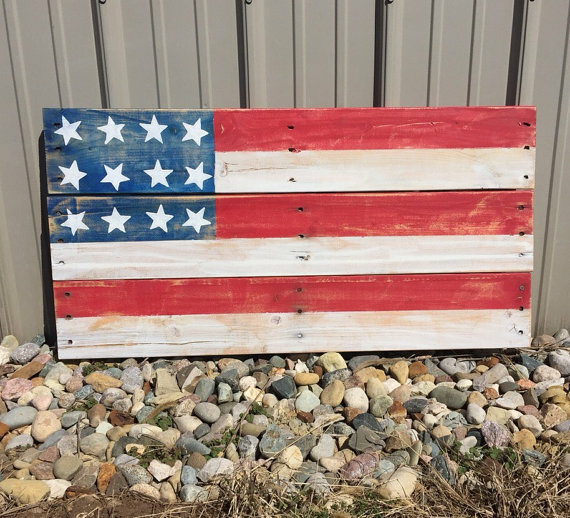 Show the entire neighborhood your American pride. 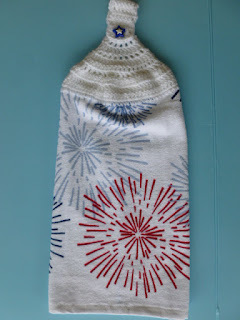 Decor Place will help you dress up the mantel for July 4th. 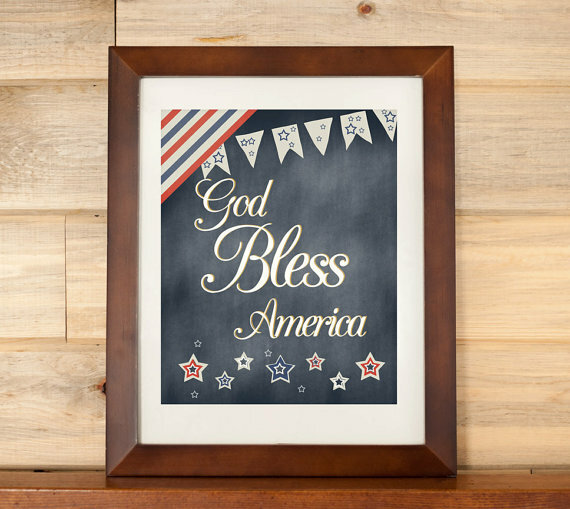 You could use the banner in the kids' rooms to spread patriotic spirit throughout the entire house. Change up the framed art, and add a holiday piece from Dainty Press. 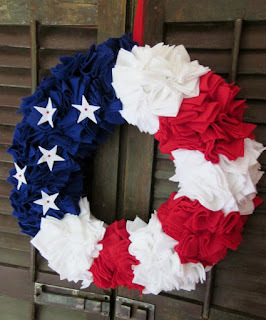 You can reuse the printable for Memorial Day, Labor Day, and Veteran's Day too. I love this wooden sign from Starry Night Signs. Hang it on the patio, and it's the perfect backdrop for photos with sparklers. 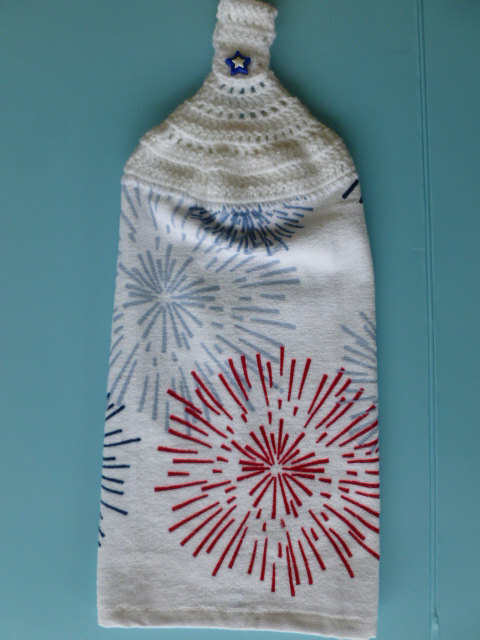 Why not dress up the kitchen and bathrooms with Independence Day flare from No Skein No Gain Designs. Everyone needs to wash up, so let's do it with fireworks. Changing up the decor for holidays doesn't have to be reserved for the fall and winter. Use patriotic decor to show USA pride.